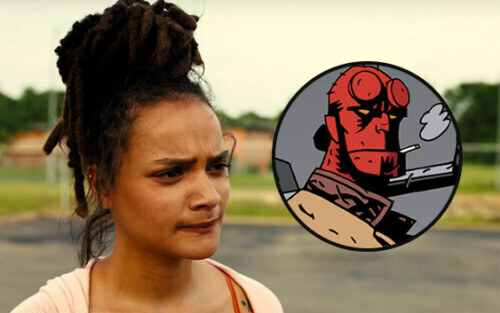 American Honey star Sasha Lane is the latest name to join Lionsgate and Millennium’s ‘Hellboy’ reboot. Image: Sasha Lane in ‘American Honey’ (2016); ‘Hellboy’ comic book. The Texan born actress will join Milla Jovovich (The Blood Queen), Ian McShane (Professor Bloom) and ‘Stranger Things’ star David Harbour (Hellboy) on the cast of the new film. Though Lane’s role is yet to be confirmed, her presence on Hellboy: Rise of the Blood Queen marks the actress’s first studio film. The Descent director Neil Marshall is taking the reins as director, with a release date still yet to be revealed.